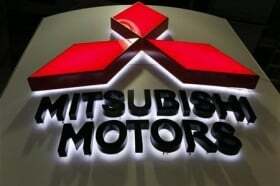 MILAN (Reuters) -- Mitsubishi Motors Corp. expects to meet its full-year guidance for operating profit for the 2014-15 financial year, but is not yet certain it can meet its forecast for sales, a spokesman for the company said on Wednesday. The Japanese carmaker currently forecasts operating profit rising to 135 billion yen ($1.25 billion) in the year to end-March from 123.4 billion yen the previous financial year. Sales volumes are expected to rise to 1.182 million units from 1.047 million the previous year. The company said it was too early to say whether weaker-than-expected sales volumes in Japan, Russia and Thailand can be compensated by the better-than-expected sales volumes in North America, Middle East and Europe.